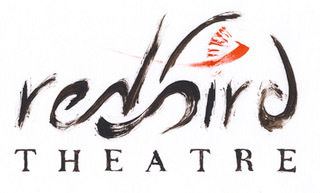 Red Bird Theatre believes: Art is either responding to the world or it is not. Responding is the only option. 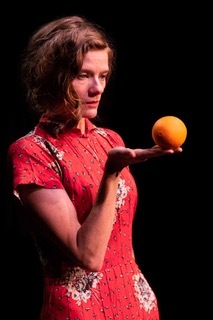 With their new production, A Bright Room Called Day, playing at Pillsbury House through April 13, Red Bird lives up to that goal. Tony Kushner's play is set in two different times: In 1932 Berlin, in a comfortable apartment as the Weimar Republic is giving way to the rise of the Nazi party. And in 1980s New York, a woman sends hate mail to President Reagan as she studies the events of the past. When Kushner's play was first presented in 1987, the contemporary part of the play was set in the present day. Now, 30 years later, the whole play is set in the past, but the themes relate seamlessly to our current climate. The primary setting is Berlin, in the apartment of actress Agnes Eggling, who lives with her lover, Husz, a cameraman and Hungarian emigree. Kimberly Richardson is always wonderful on stage, but frequently plays characters a bit exaggerated from real life. Her Agnes is painfully real, as she holds on to her status quo life in the form of her apartment, watching while all of her friends leave her. Barbra Berlovitz is appropriately haunting as the old woman who visits her and delivers warnings Agnes won't acknowledge. A Bright Room Called Day. Agnes and Husz celebrate New Year's 1932 with friends Gregor (Leif Jurgensen), whose homosexuality will clearly endanger him; Paulinka (Siddeeqah Shabazz), a very successful actress with appropriately dramatic style; and Annabella (Delta Rae Giordano), who seems the most pragmatic of the group. She is involved with the German Communist Party, as are Rosa and Emil (Kenzi Allen and Pedro Juan Fonseca), who try to help Agnes, who flirts with the Party but never joins. Paul de Cordova is excellent as Husz, especially when he, too, must leave Berlin and Agnes. Husz also has a connection to a man called Gottfried Swetts, who visits the apartment. As Swetts, Alex Barreto Hathaway gives an arresting and terrifying performance that had me holding my breath. While the events take place in Berlin, we see Zillah (Shelby Rose Richardson) in her apartment in 1984, studying the action and conveying her anger about events happening in her time as well as regret for those in the past. This is a challenging play, without an easy resolution, but director Genevieve Bennett and her dedicated cast have brought it to life in a superb production. The creative team has also done an excellent job of bringing the play to life. Justin Spooner's spare but evocative set and Lauren Rae Anderson's simple but appropriate costumes set the scene, and Mike Wangen's lights and Kalen Rainbow Keir's sound complete the atmosphere. Projected titles give context to the Berlin timeline, with dates that even the cast see and acknowledge as their world disintegrates. What the characters choose to do (or not) as democracy is threatened is thought-provoking and unnervingly relevant. Interesting Note: When researching the play, I found that according to Wikipedia, an updated version of this play was performed in 2018 at USC School of Dramatic Arts, in which a new character comments on parallels to the present day. Having seen this version, an update seems wildly redundant, as the play has become current again of its own accord. Occasionally, we get free tickets for shows, which is awesome, cough: (mntheaterlove@gmail.com). Most of the time we buy tickets or season subscriptions. We write out of love and support of theater.